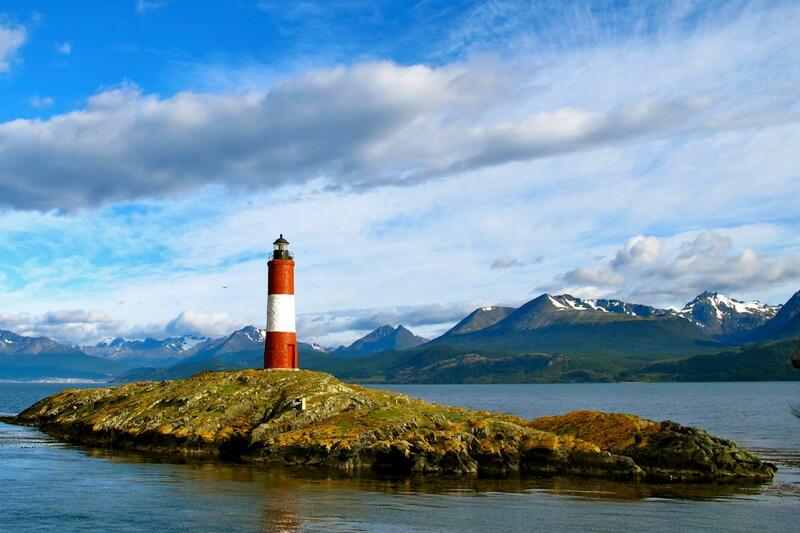 Head out from the pier on a beautiful catamaran, sailing through Ushuaia Bay into the center of the Beagle Channel. Here, we will weave through the islands of the Alicia Archipelago, an area inhabited by a large colony of imperial cormorants. You’ll also have a good chance to see the majestic black browed albatross, the scua (a type of gull), and the funny-looking steamer duck. The journey continues at Les Eclaireurs Archipelago where we’ll visit Seal Island, home to two playful species of sea lions. Not far from here, we will cruise to another island to have a look at the classic Les Eclaireurs Lighthouse named after the Archipelago. This 74-foot (22.5 m) "scout" guards the sea entrance to Ushuaia. It was in this very spot that the Mt. Cervantes tragically sank in 1930. We will cruise the area exploring Almanza Port (Argentina) and Williams Port (Chile). Then get ready for fun as we enter McKinley Pass, heading directly to Martillo Island to observe a colony of elegant Magellanic penguins at work and play. Approximately 18 inches tall and 8 pounds in weight, these small black and white aquatic birds are members of a species that lives only in the far southern coastal region of South America and the Falkland Islands. Our excursion continues, heading to Harberton "Estancia" (ranch), where we will enjoy a short tour to learn all about this historical settlement. At the end of our walk, you will have a change to have a traditional argentine barbecue (not included) before we travel back to Ushuaia by coach. Fantastische trip, goed georganiseerd en enthousiaste gidsen!